Are you using a Windows 10 operating system or laptop but unable to enjoy all functions of this OS due to inactive Windows? Or receiving activation error during activation process? If yes then, first of all, calm down as the solution of such issue is briefly described in this blog with a complete tutorial. There are many types of activation errors that can appear on the newly installed Windows 10 computer or laptop. When system is upgraded to Windows 10 then the newly installed OS will fetch all the information related to the product key and activation from a previous operating system. All the fetched information is then saved on Microsoft servers, along with your PC/laptop information. Activation error generally appears when clean installation of Windows is done by the user for the first time. But when clean installation over an activated Windows 10 PC is done then in this case you will never dace any activation issues, it is because the OS will fetch the complete activation details from Microsoft servers. If you have a Windows 7 or Windows 8/8.1 product key then you cannot activate Windows 10 as this latest operating system uses its own exclusive product key. 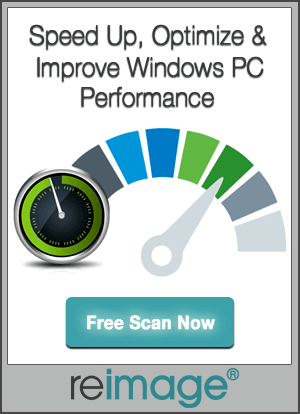 In order to do a clean installation for the first time, you have to activate Windows 7 or Windows 8.1. While upgrading to Windows 10 if it asks you to enter a product key then click Do this later option. After a few days, Windows 10 will get activated automatically as activation servers might be overloaded at the times. #1. 0x803f7001, 0x800704cF: You will get this error message because of Activation server unable to find a valid Windows license for your PC or laptop. In order to get rid of 0x803f7001, 0x800704cF error you should provide valid product key to activate Windows. You will find the 25-character product key in the confirmation email sent by Microsoft (after buying). You may also see the product key on the packaging that came with your PC, or on the Certificate of Authenticity (COA) attached to the back or bottom of your PC/laptop. Step 1: Click on the Start button-> select Settings ->Update & security -> Activation. Step 2: Choose Change product key, and then enter the 25-character product key. #2. 0xC004F034: This error message shows that the product key entered by the user is invalid or a product key related to any other version of Windows operating system. If Windows system is installed on a device that linked to a Key Management Service (KMS) server then kindly contact your organization’s support person. #3. 0xC004F210, 0xC004E016: When the user enters a product key for a different edition of Windows than the edition installed on your device then you might get this error message. In some cases this error might also appear if you upgraded your system to Windows 10 before, but the latest edition of Windows OS doesn’t match the edition of entered digital license. So enter a valid product key that matches the edition of Windows installed on your system or try to reinstall the edition of Windows 10 which is suitable for your digital license. #4. A networking problem has occurred while activating your copy of Windows. (Error code: 0xC004FC03) OR 0x8007267C: This error code appears due to the slow internet connection or your system is not connected to the Internet properly or your firewall settings are blocking Windows from finishing the activation process online. So in order to fix this error code, it is recommended to make internet connection good, also make sure that firewall isn’t blocking Windows from activating. If you’re still unable to solve the issue then activate Windows by phone. Simply type SLUI 04 in the search box present on the taskbar, choose SLUI 04, and then go after the on-screen instructions to activate Windows. #5. 0x8007232B, 0xC004F074, 0xC004F00F, 0xC004F038, 0x8007007B: When user enters a product key for the Enterprise edition of Windows to activate Windows 10 Home or Windows 10 Pro then you may receive these error codes. Enter an exact product key that matches the edition of Windows on your device. Or, you might get DNS name does not exist. (Error code: 0x8007232B) error message if you trying to activate your work PC that isn’t connected to workplace’s network. If the system is connected to a work network and still this error appears when you might need to modify the network settings. #6. 0xC004C008, 0xC004C770, 0x803FA071: These error codes are appearing in the form of error message due to used product key (user entering used product key). Get rid of this issue; simply purchase a product key for each one of your systems to activate Windows on them. 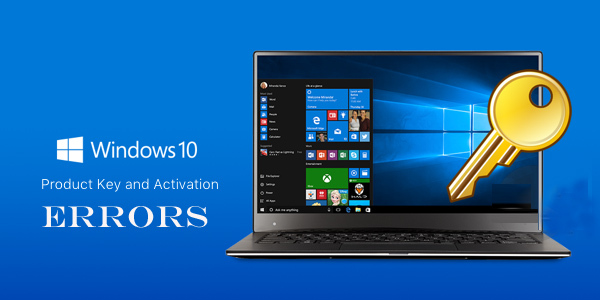 How to buy Windows 10 Activation Key? Click on the Start button -> Choose Settings ->Update & Security > Activation . Choose Go to Store, and follow the onscreen instructions. Note: If you are unable to activate your Windows after replacing any hardware of your device (have a valid product key) then activate Windows via phone. Go to the search box and type SLUI 04, choose SLUI 04 from the list and then simply follow the onscreen instructions to activate Windows. #7. Error 0x80004005- ‘Unspecified error’: In order to fix this issue first of all click on the Start button and then choose Settings ->Update & security -> Activation, and then choose Troubleshoot. This will run the Activation troubleshooter. 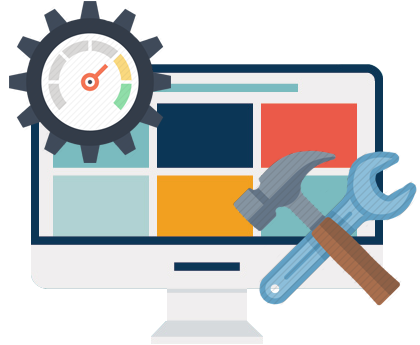 If you are unable to fix this issue by using troubleshooter then you might need to reset your PC. #8. 0x80072F8F: If you are getting “A security error occurred. (Error code: 0x80072F8F)” error message then make sure that the date and time for the PC is correct or not. This kind of error message appears when Windows system, gets unable to connect to the online activation service and can’t verify your product key. Set date and time: Click on the Start button-> Settings -> Time & language > Date & time. How to verify Internet connection? Step 1: Go to the search box and type network troubleshooter, then choose Identify and repair network problems. Step 2: After it follows the instructions to get rid of any internet problems. After troubleshooting internet the problem still not fixed, then try after restarting your PC. #9. The Software Licensing Service reported that the license evaluation failed. (Error code: 0xC004E003): This error might come into view just after installing third-party software, it happens because a third-party tool can change some system files. Once supported system files get damaged then you will face the activation issue. In order to fix this issue, you need to restore the system files. The resetting of system may remove all the installed software. #10. The activation server reported that the Multiple Activation Key has exceeded its limit. (Error code: 0xC004C020): You may get this error message when a Volume License was used on more PCs than the Microsoft Software License Terms allow. Simply use a different product key to activate Windows on your PC. #11. 0xD0000272, 0xC0000272, 0xc004C012, 0xC004C013, 0xC004C014: Main cause of these error codes is: Offline activation server (temporary unavailable). After a few days, your copy of Windows will automatically be activated when the service comes back online. The given 24 Most Common Windows 10 Activation Error Codes and their Fixes will help you to make your PC/Laptop error free from any type of error codes.